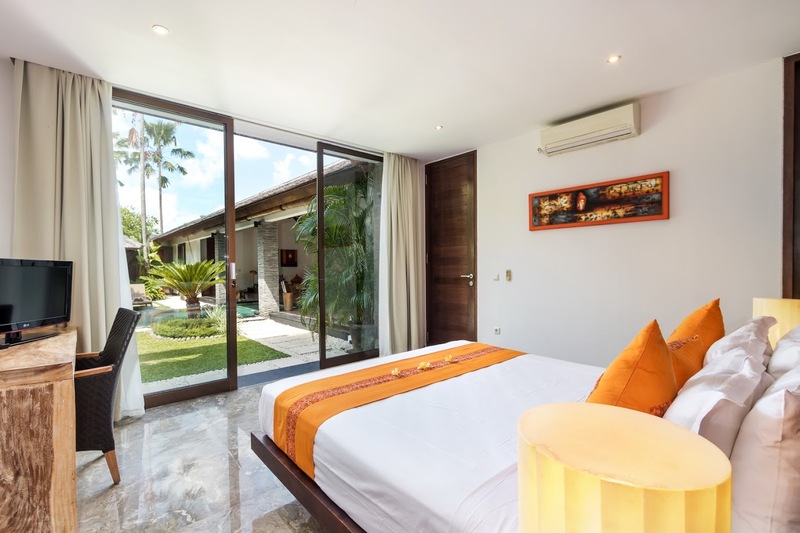 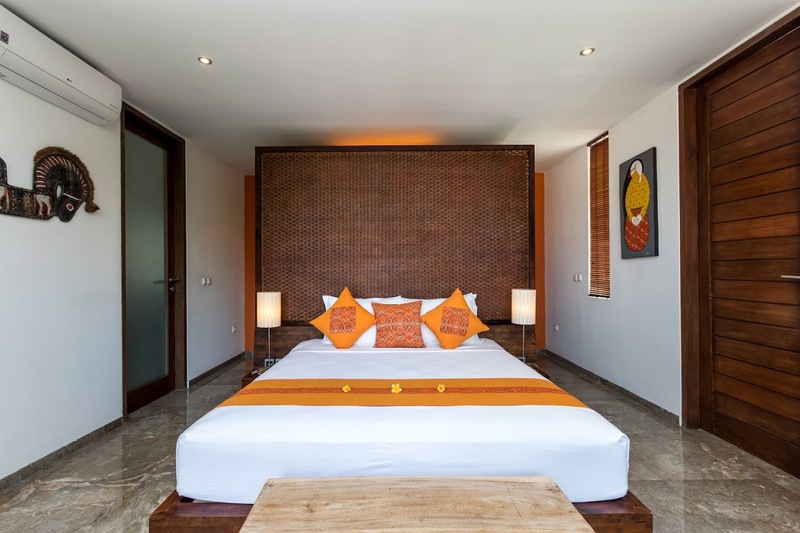 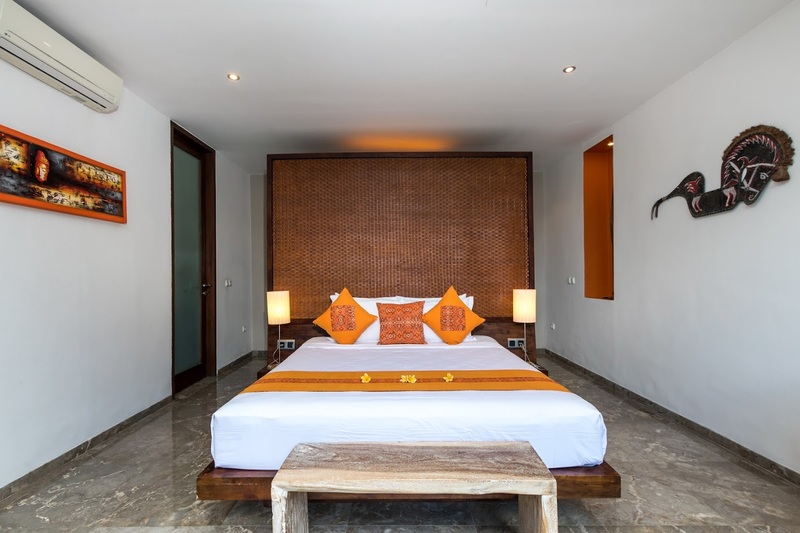 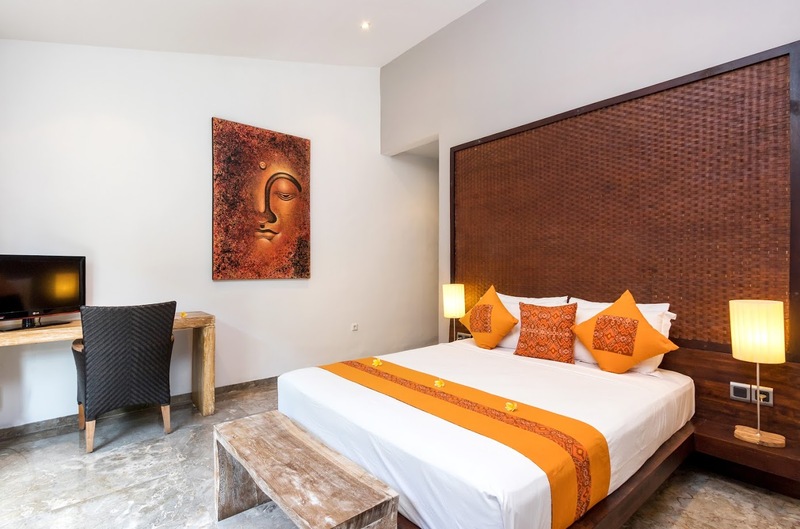 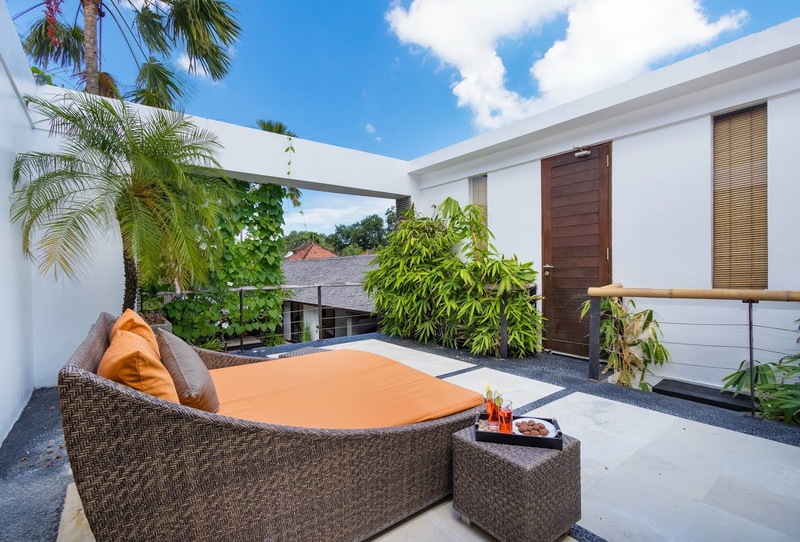 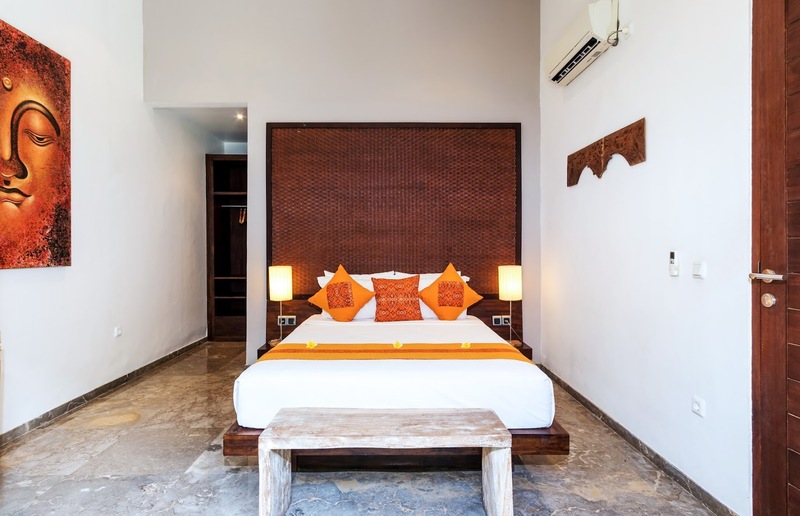 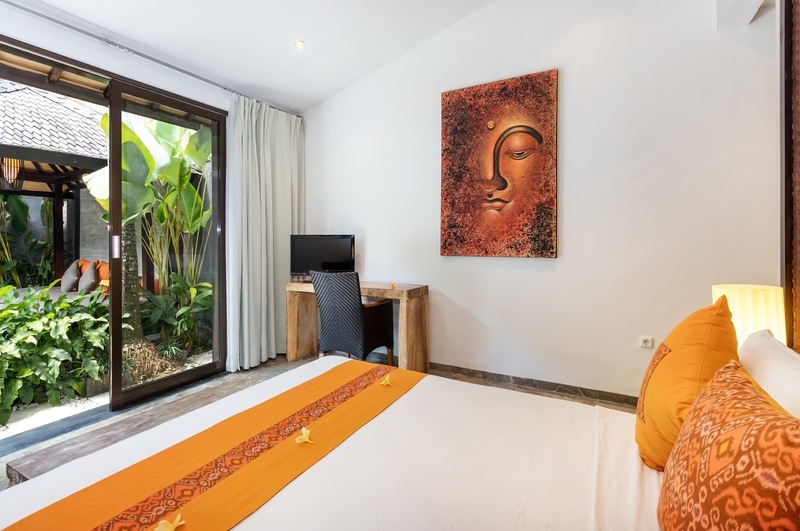 Villa Anjali Orange in trendy Seminyak is a three-bedroom villa which is one of the four villas at Anjali Villas – a luxurious villa complex. 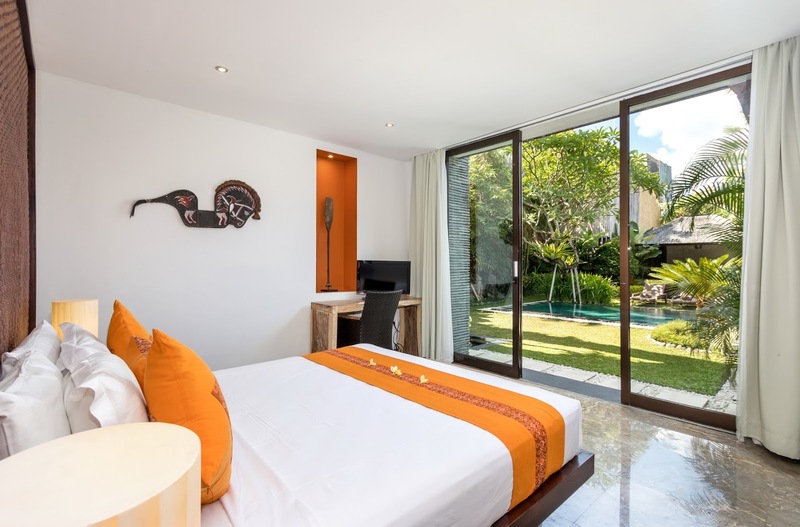 The essence of its name is found in the minute details around the villa where you will be able to spot a few dashes of bright orange in the bedrooms and elsewhere. 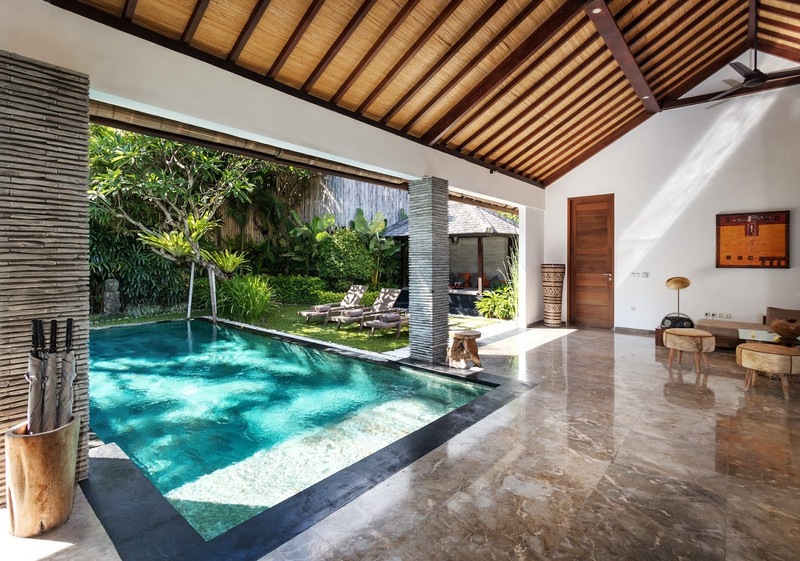 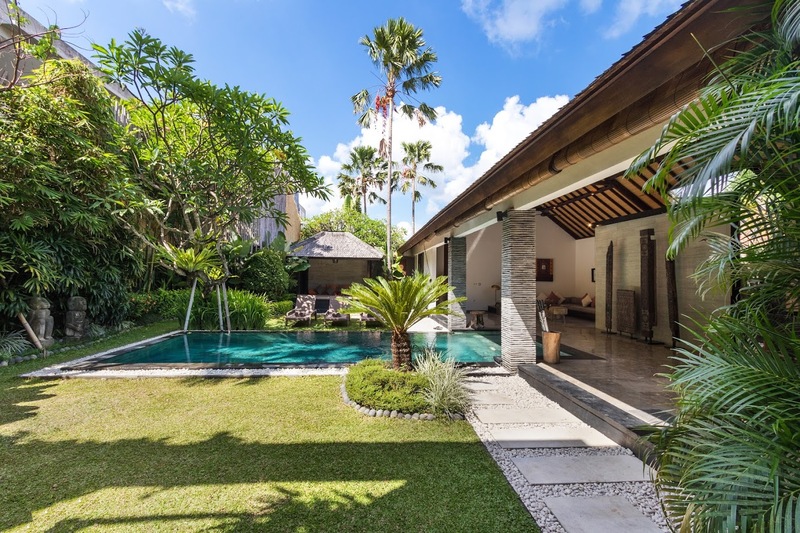 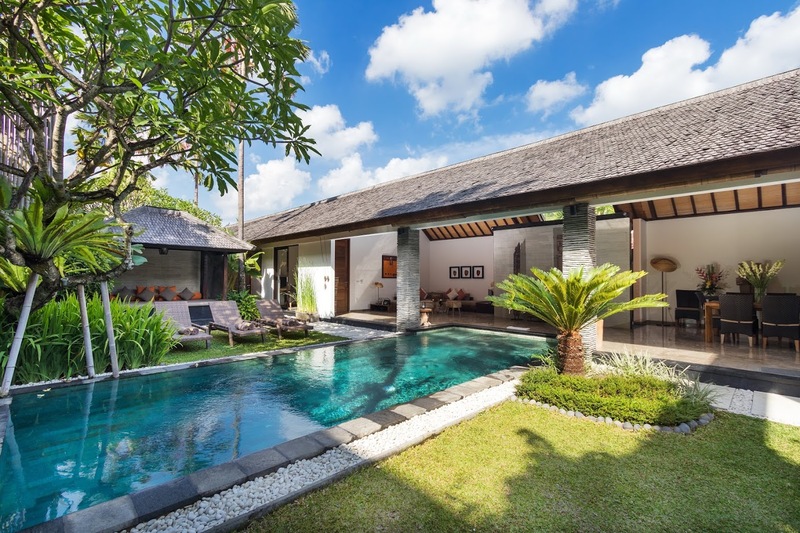 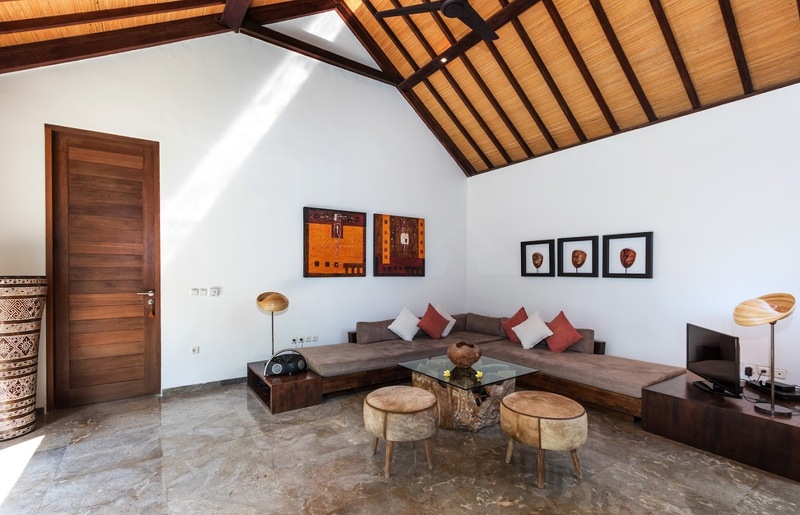 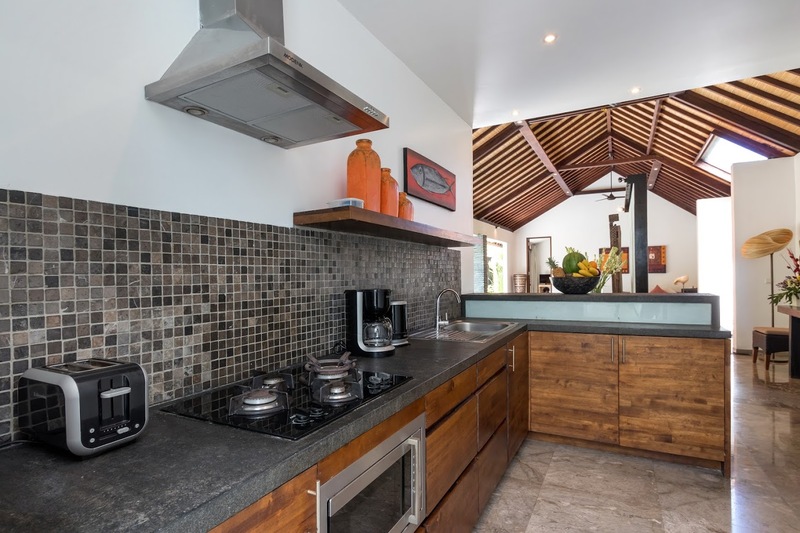 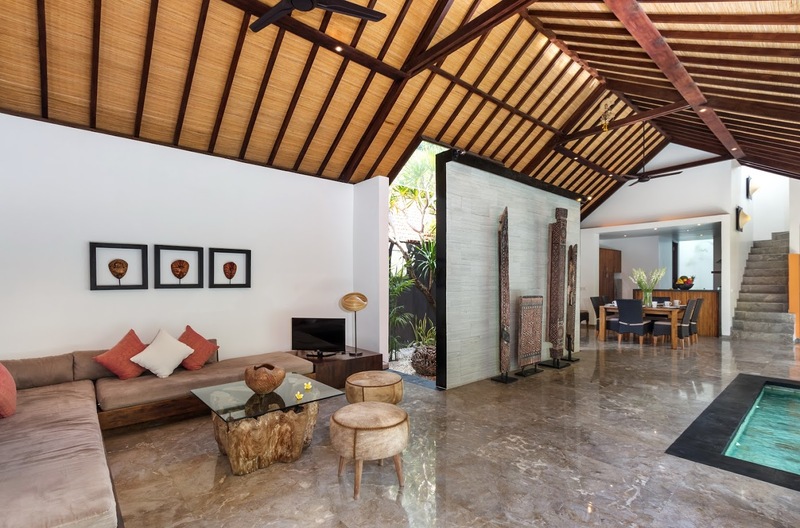 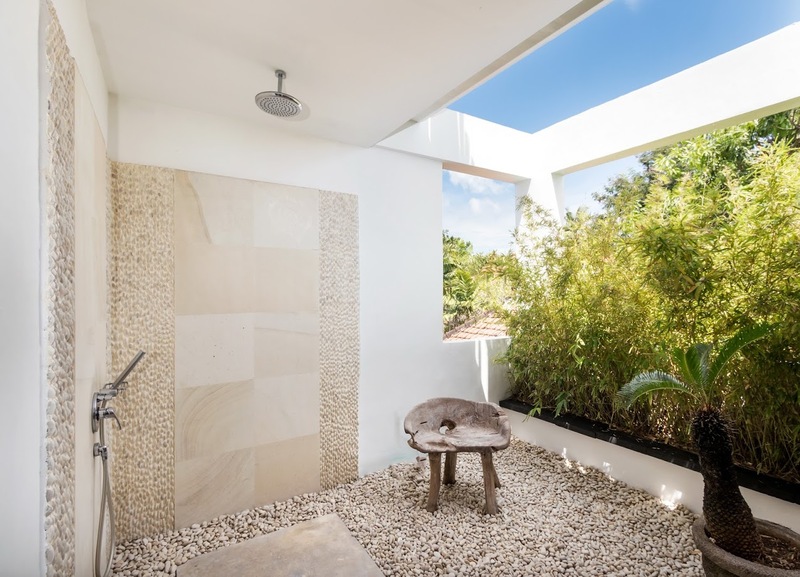 Apart from a prime location in Seminyak near Petitenget beach, the villa itself is self-sufficient to allow you stay indoors for as long as you want. 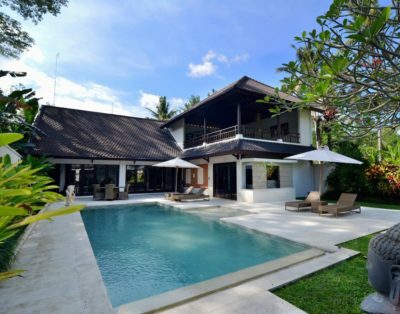 A blend of tradition and modernity, the villa encapsulates both of these polar opposite elements in the most seamless manner. 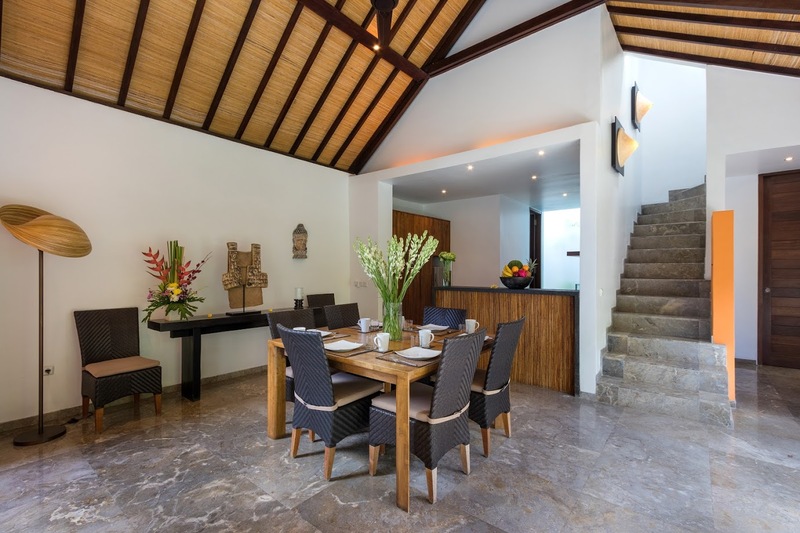 An eventful and memorable time with friends and family is guaranteed here! 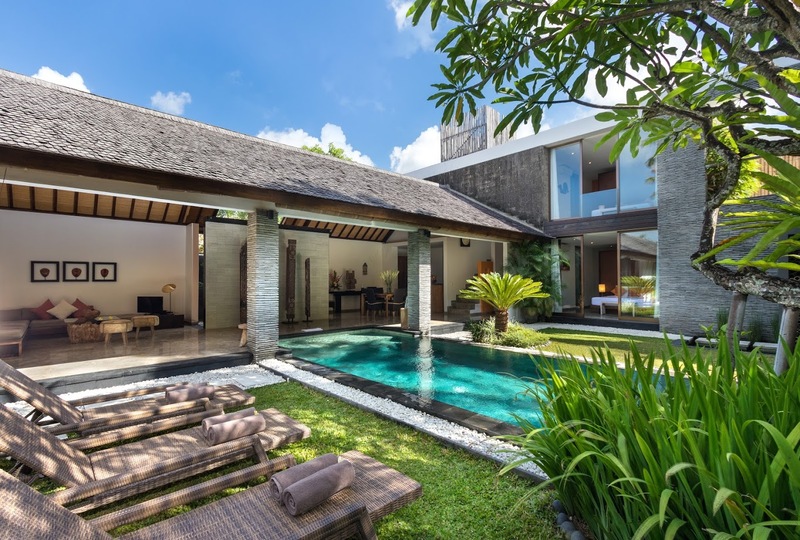 The villa has been constructed in a T-formation with the swimming pool as the longer end and the shorter comprising the living, dining, and bedrooms. 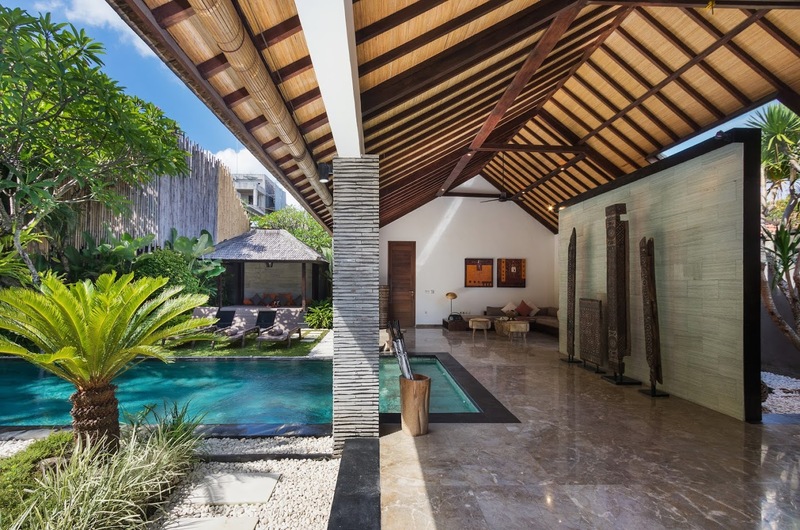 Flanked by a large stone wall, the pool’s, the 9-metre swimming pool extends well into the living area so you can dive right in without a problem. 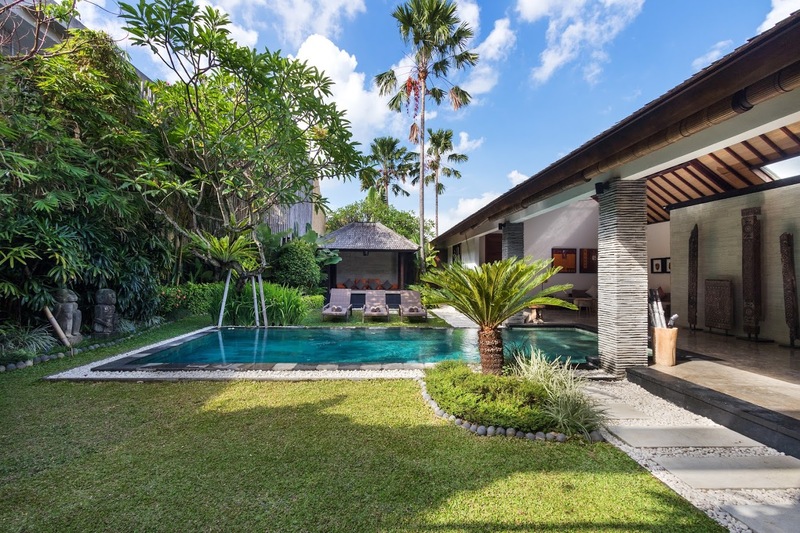 A beautiful landscape accompanies the pool with tropical gardens bordering each side of the pool flush with ample vegetation that thrives in this warm tropical weather. 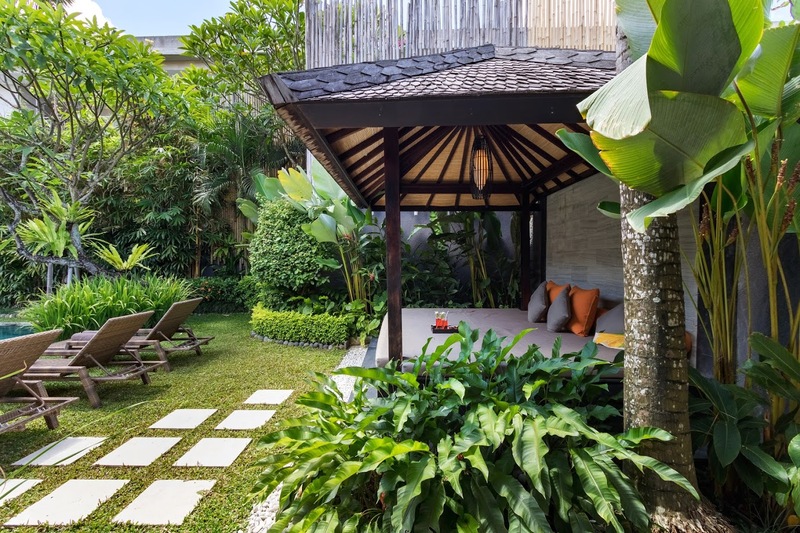 Numerous sun chairs are found on the gardens and a traditional bale provides a shaded nest for a well-deserved nap! 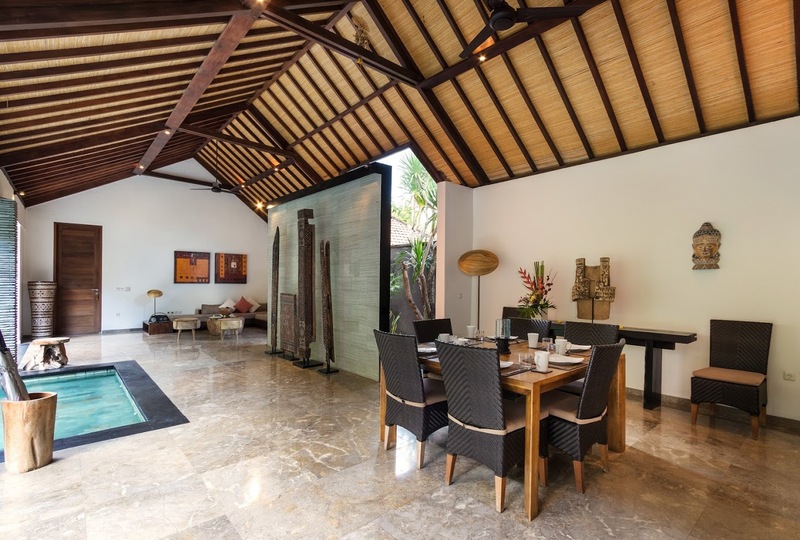 Open to the gardens, the living area is housed under a traditional high-vaulted alang-alang ceiling, an authentic Balinese feature. 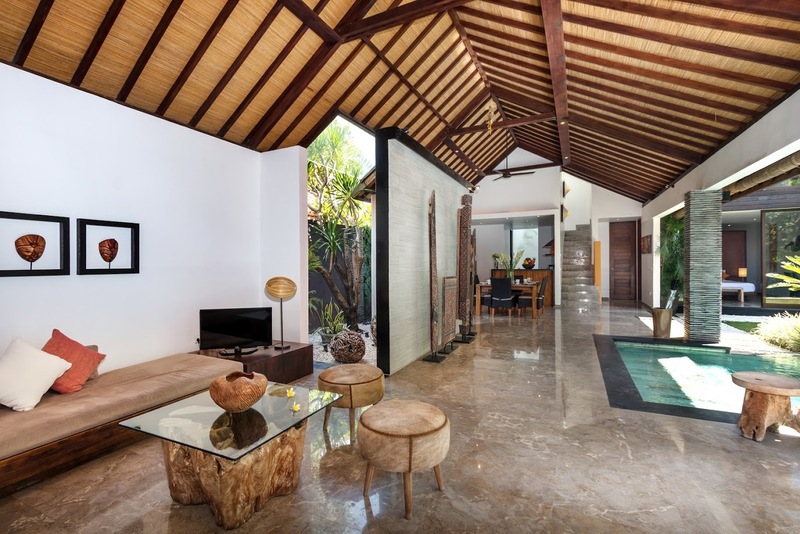 The living room has been furnished with a corner seating that comprises an L-shaped sofa where everyone can gather together for an enjoyable time. 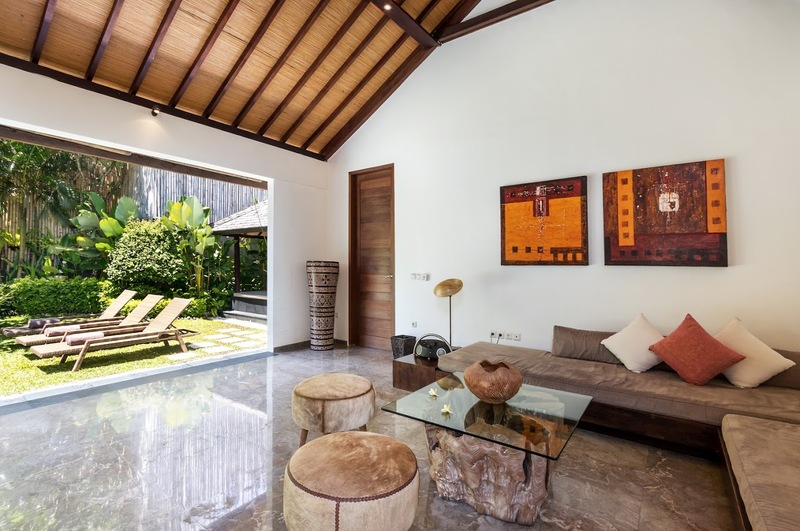 Decorated with wooden antiques and Balinese artefacts, the décor is kept simple and intriguing still. 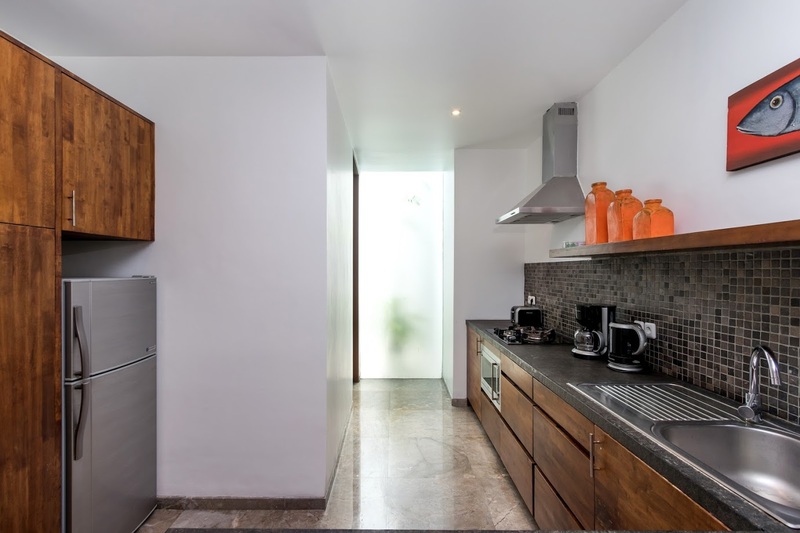 The open-plan layout ensures the space is ventilated throughout the day especially with the help of ceiling fans. 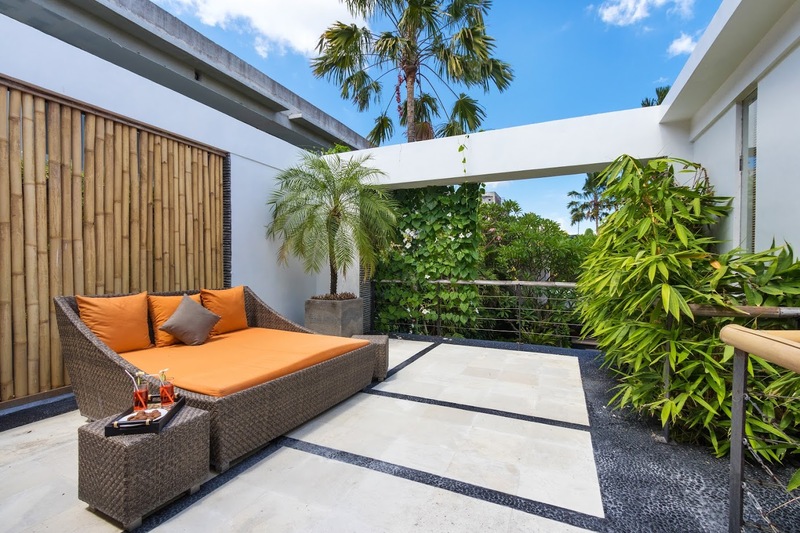 While enjoying a view of the gardens, guests are invited to dine on the six-seater square table placed adjacent to the living area. 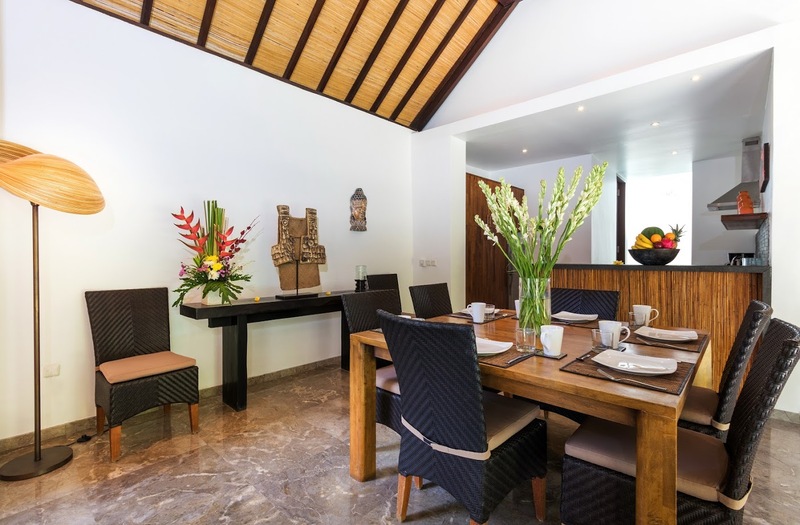 Surrounded by greenery and the pleasant tropical breeze, dining out here would make for a truly memorable experience. 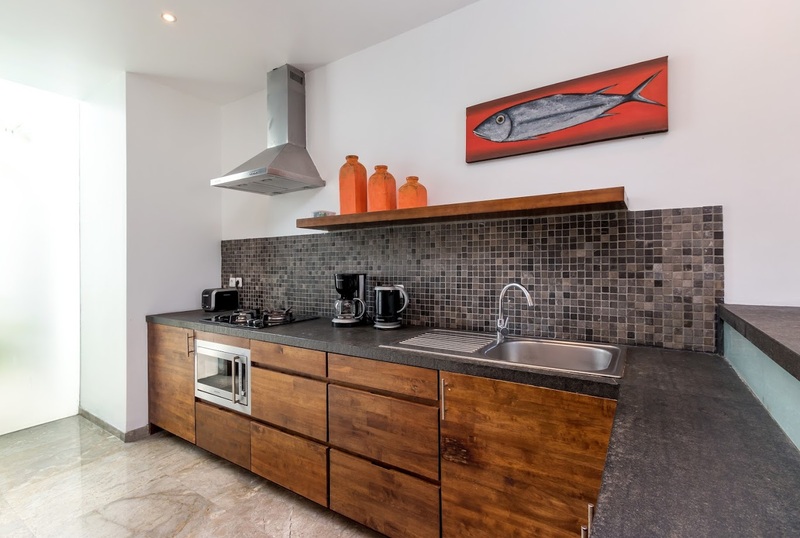 There is a fully-equipped kitchen with modern appliances and amenities for your convenience so you can cook your own meals, or even hire the services of a personal chef! 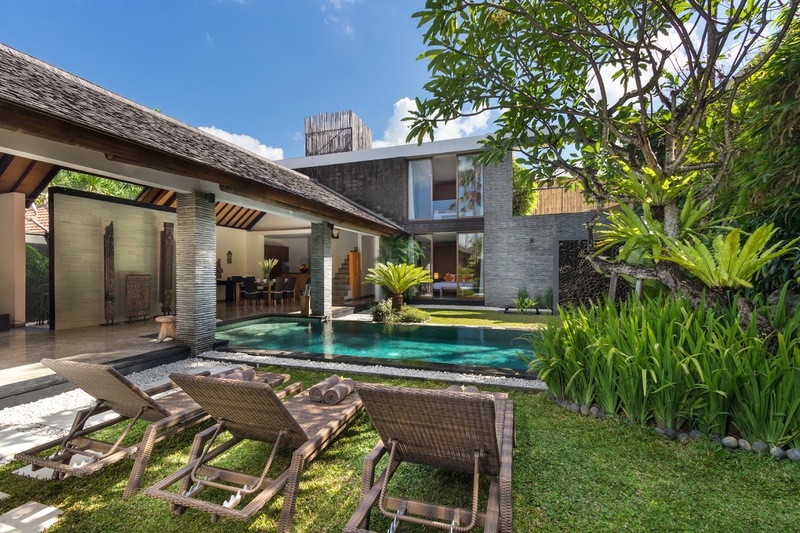 Villa Anjali Orange has three bedrooms in total, two around the pool and one upstairs with its own private terrace. 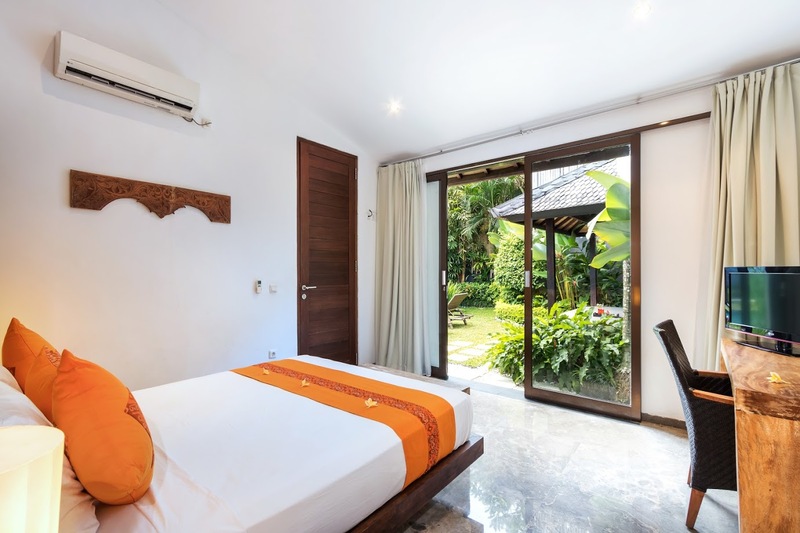 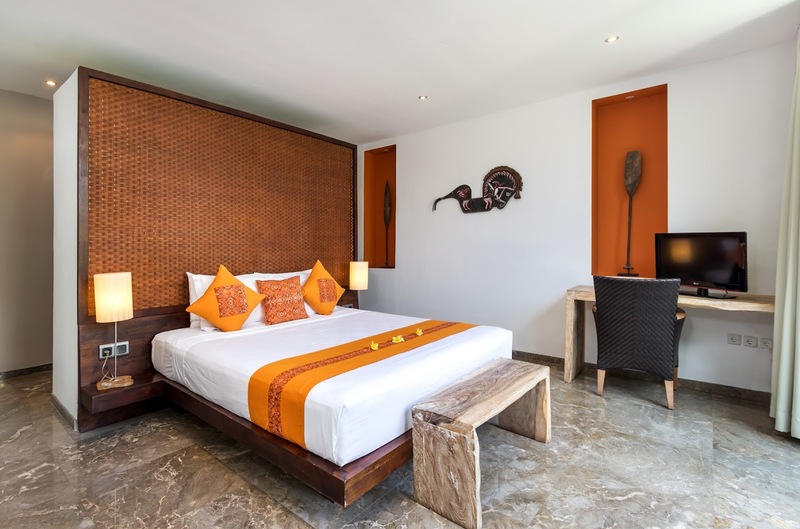 The downstairs bedrooms provide you with direct access to the swimming pool, whereas the upstairs bedroom leads to an open area furnished with comfortable rattan daybed with orange upholstery and plants! 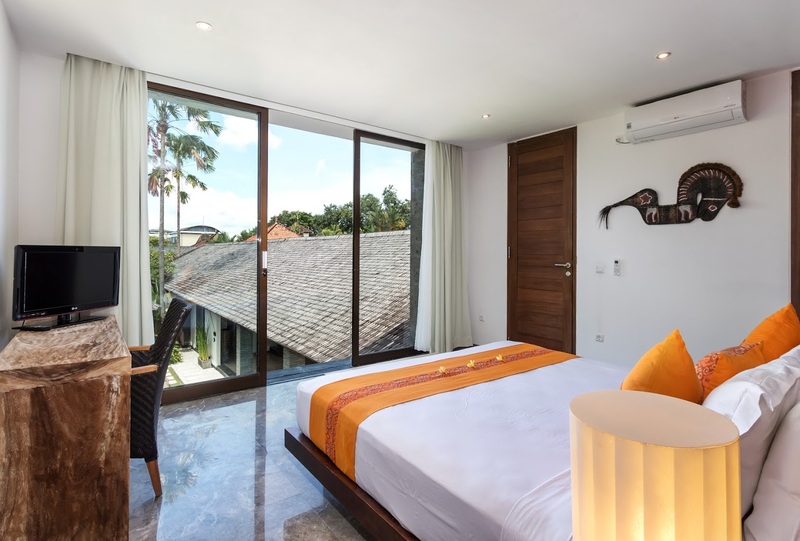 Either laze about outside or climb up the king-sized beds in each bedroom for a comfortable night’s sleep. 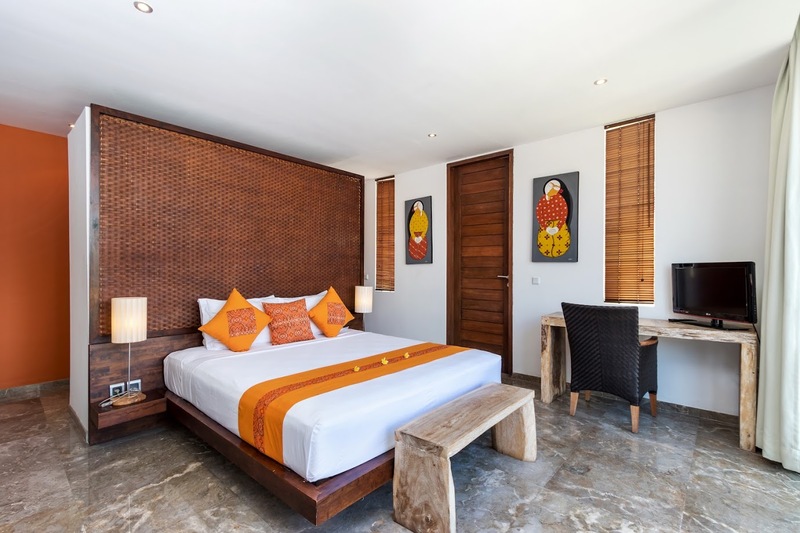 The bedrooms are also furnished with writing desks as well as TVs for your entertainment. 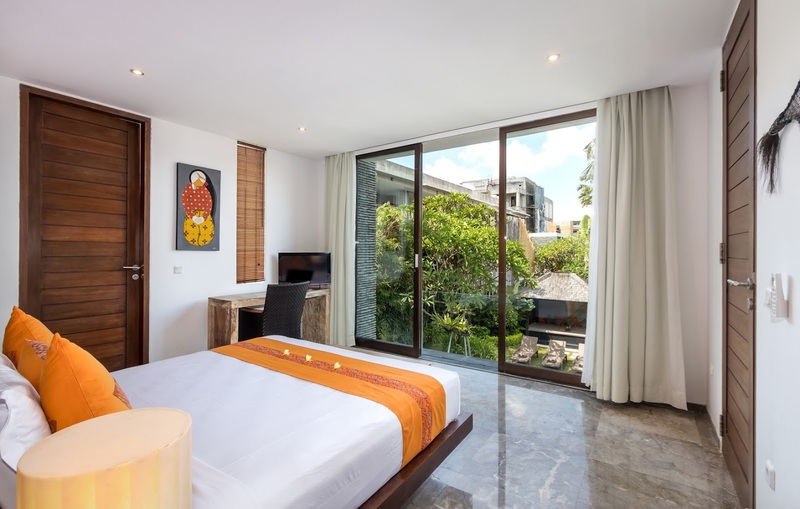 The air-conditioned bedrooms provide a comfortable ambiance during the afternoon and at night. 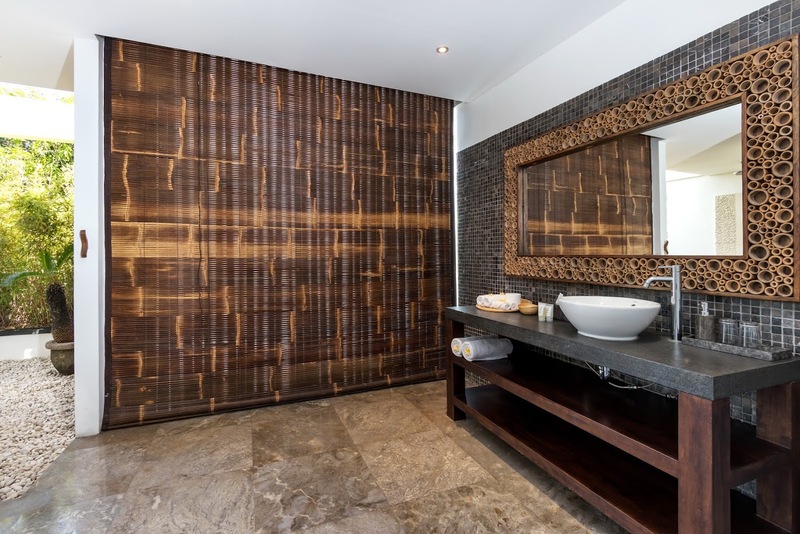 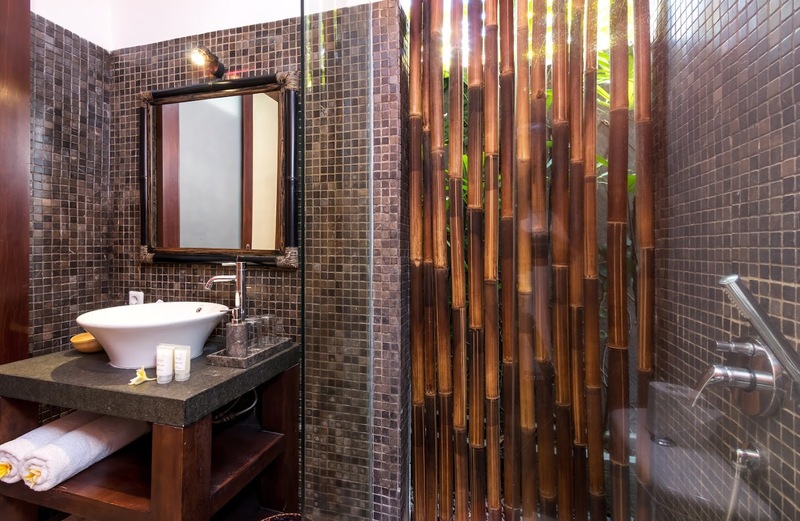 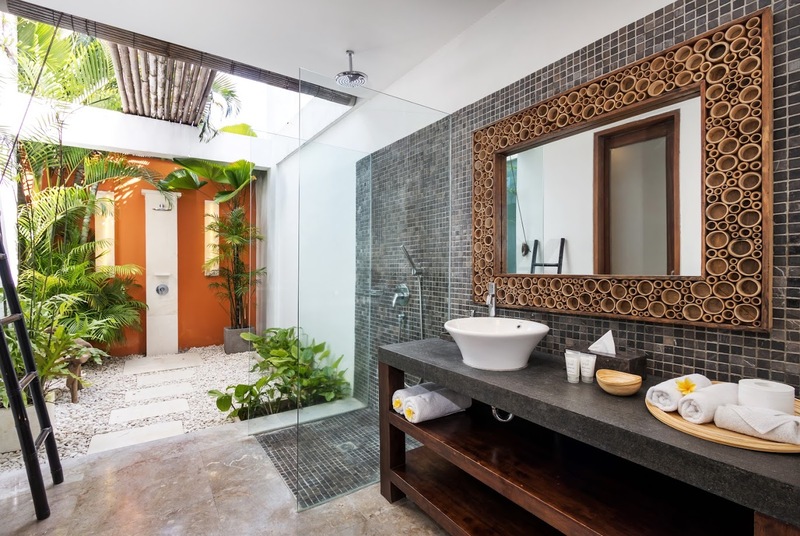 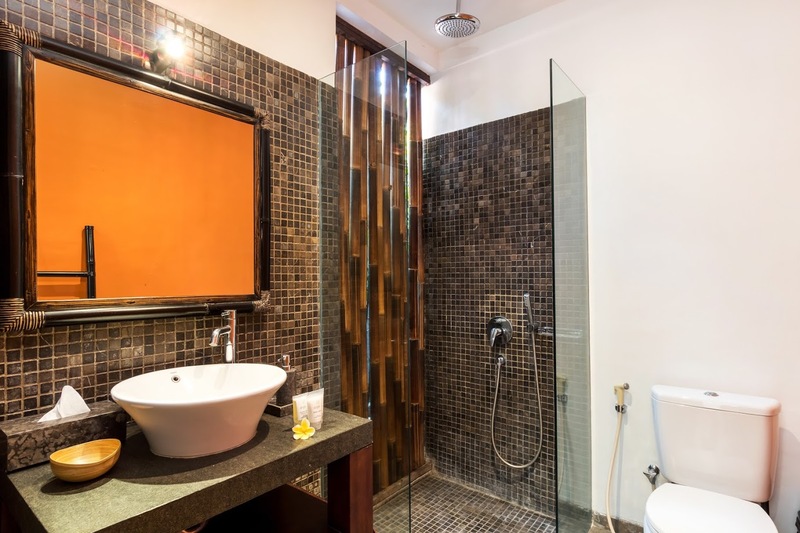 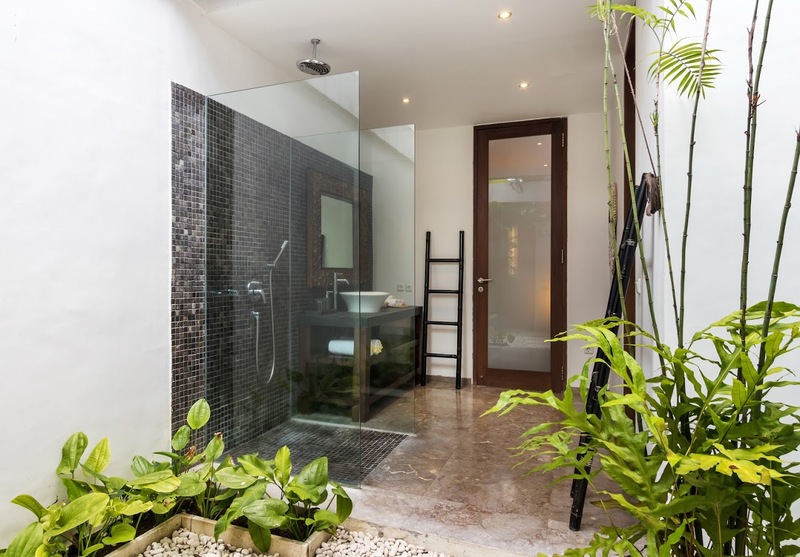 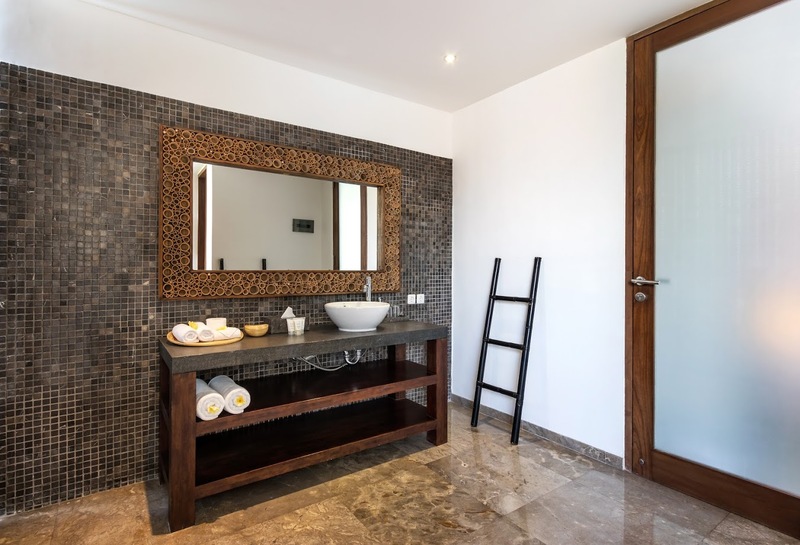 There are en-suite bathrooms with each room as well, two of which are partially outdoors with tropical showers and one closed with a walk-in shower. 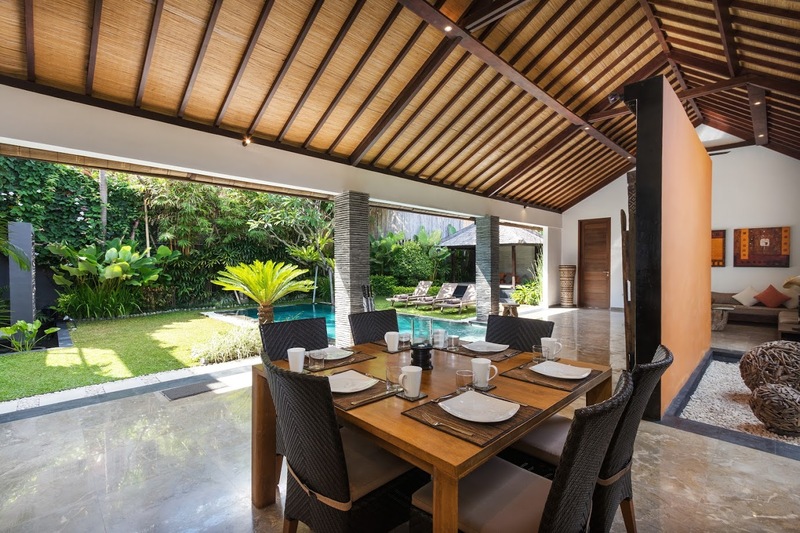 Villa Anjali Orange is part of a bigger estate thus, it is catered to by a professional team of staff members in terms of cleaning and maintenance. 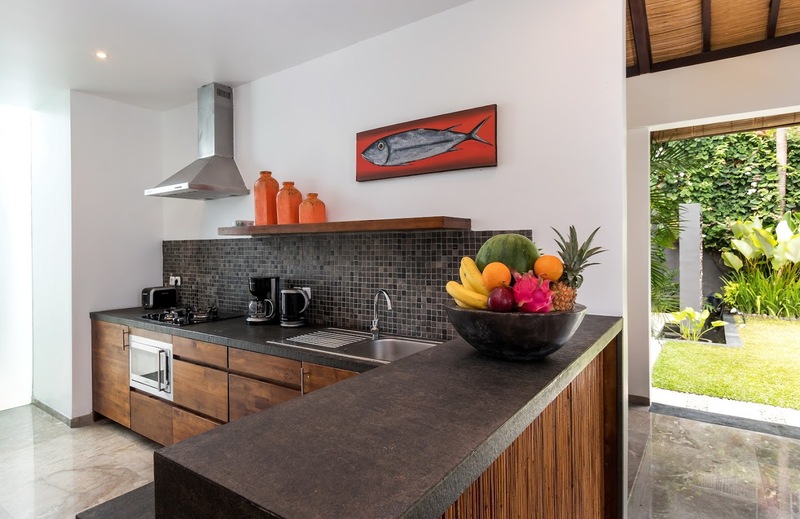 There are special services on offer including personal chef, car rentals, excursions and tours, massages etc. 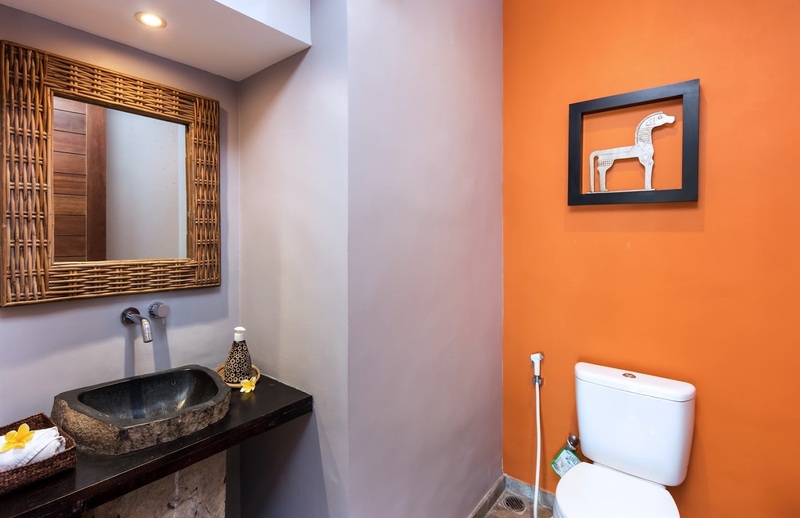 These are arranged at an additional charge! 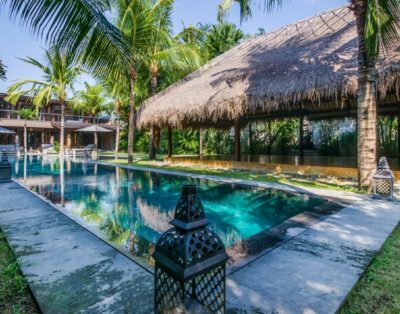 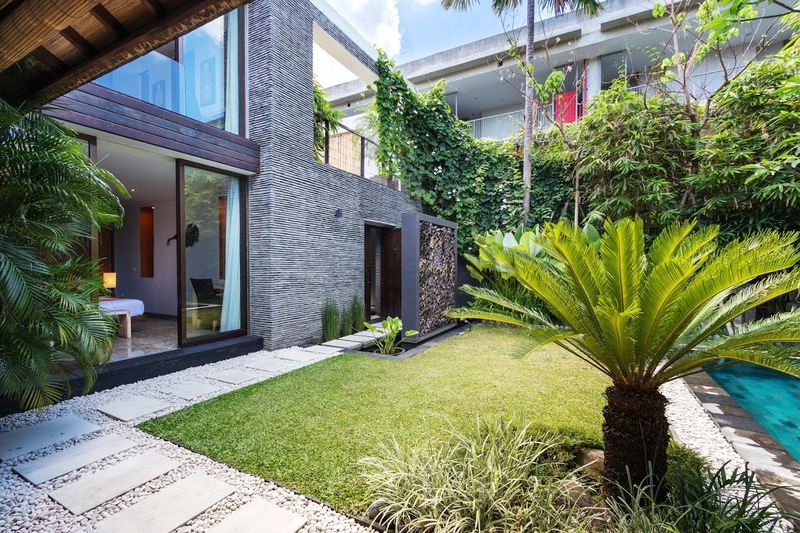 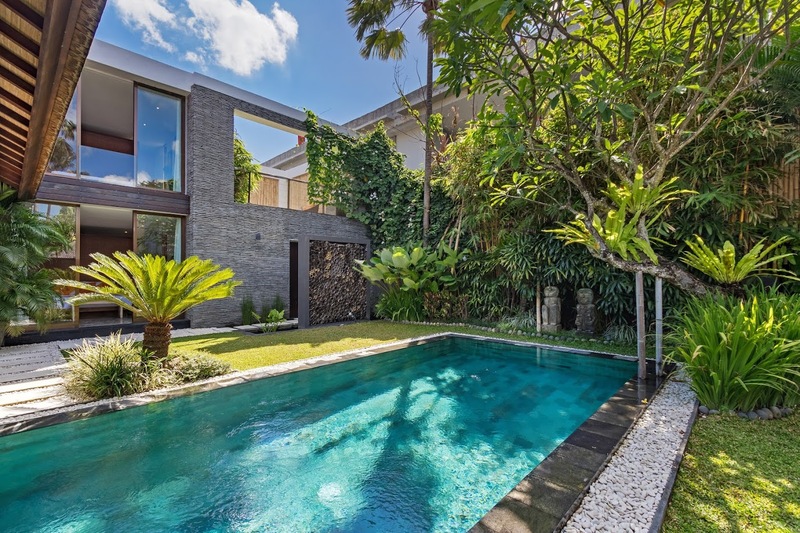 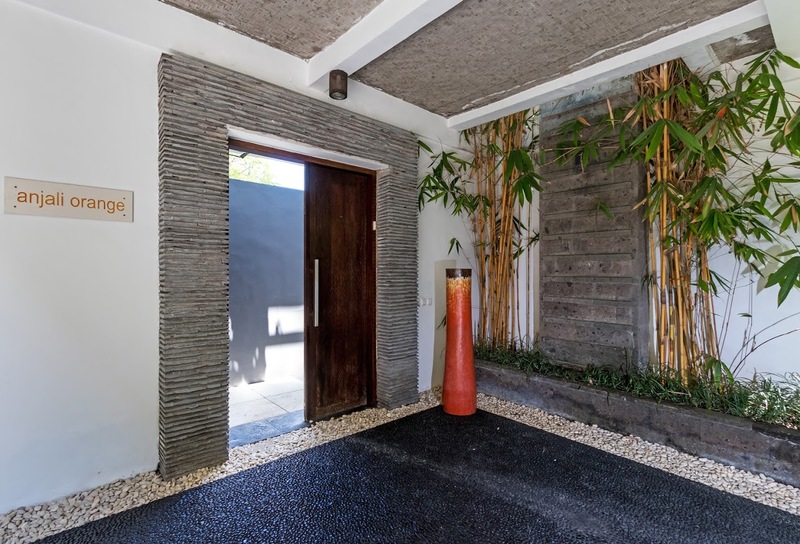 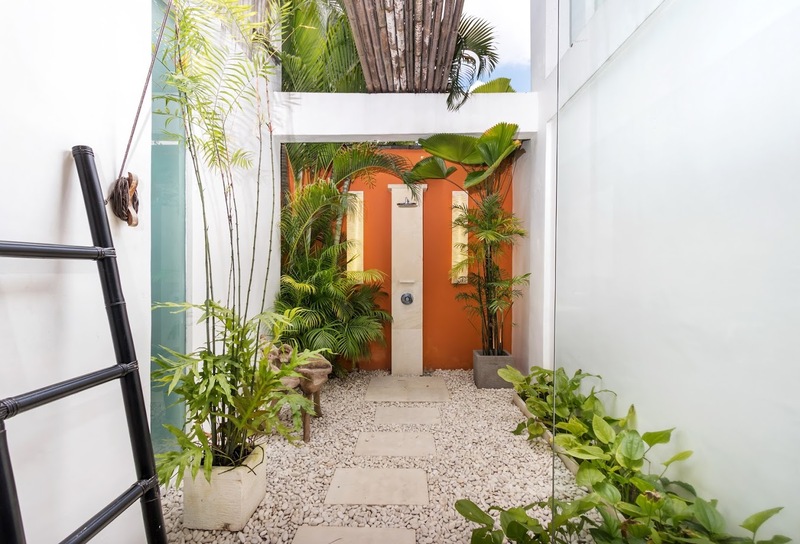 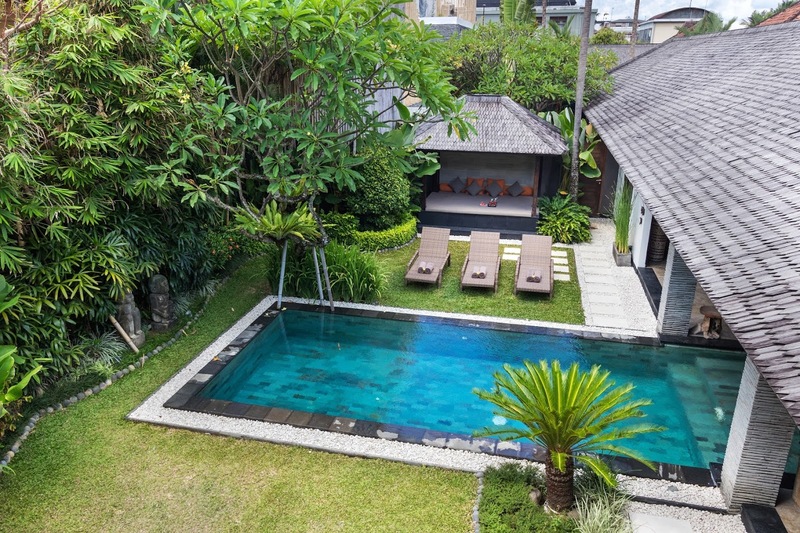 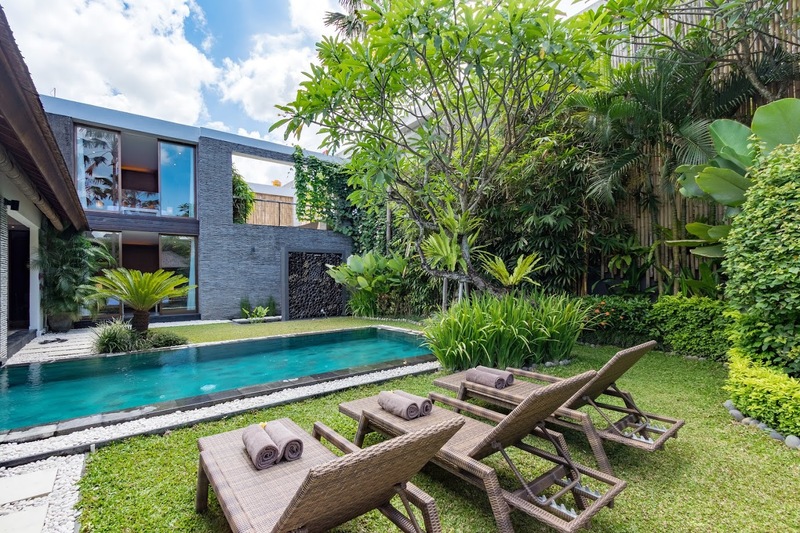 Found in the Petitenget district of Seminyak, a popular and trendy area with hordes of chic eateries and hipster cafes, the villa is definitely convenient to visit nearby areas. 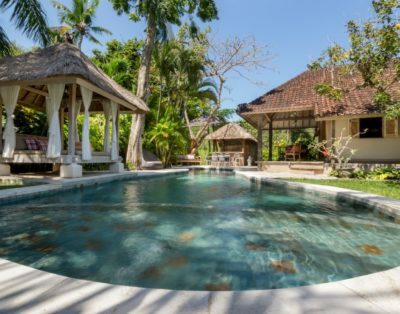 The Petitenget beach with its ancient temple and beach club is not far from the villa. 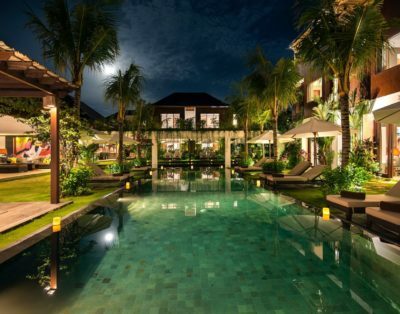 Oberoi’s ‘eat-street’ is an area you don’t want to miss with its high-end boutiques and food paradise!